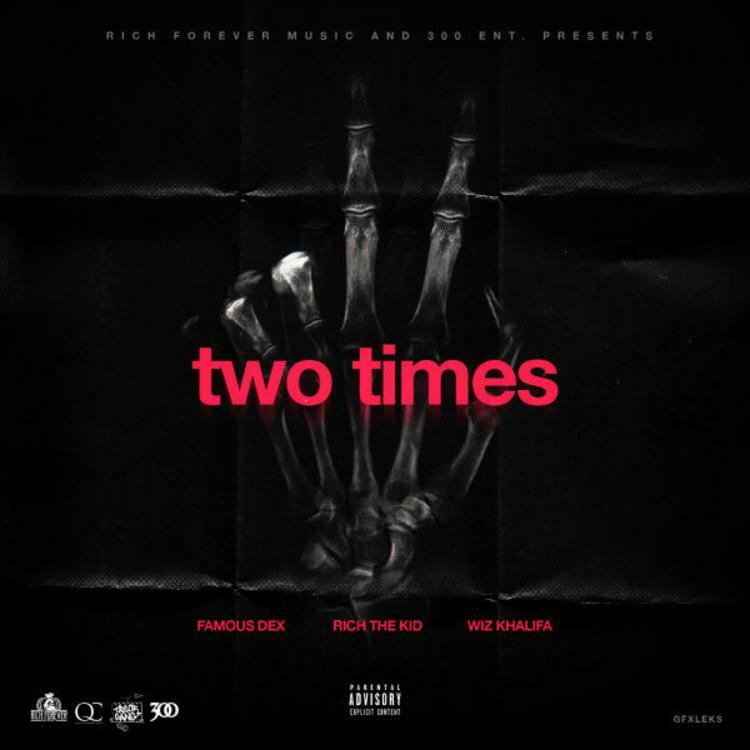 Wiz Khalifa and Rich The Kid join Famous Dex on "2 Times". If you've been following rising Chicago rapper Famous Dex at all, you're already very familiar with "2 Times". The video for the track, which was released in September 2015, has over 5 million views on YouTube. Though it's far from new, Dex is freshening up the record, releasing a remix today with Wiz Khalifa and Rich The Kid (whose Rich Forever Music label Dex is currently signed to). The song happens to be a light tribute to Gucci Mane, who released the Gucci 2x mixtape a few years back, and still features declarations of "Free Gucci!" despite the Trap God's recent release. It actually would have been crazy to hear Guwop himself get on this remix, but Rich and Wiz both fit here perfectly, each bringing the kind of quotables the catchy record calls for. The song is scheduled to appear on the second Rich Forever Music compilation, which should arrive July 4th.